Fear is defined as an irrational aversion an expected danger, it s the anticipation that something bad is going to happen and you have to be prepared. Different types of fears are a mental process to predict the future. For example, abandonment. Because is something that has not happened yet is an illusion, not a fact. Fears are related to the behaviors of escape and avoidance, connected to pain and usually occurs in response to a specific stimulus, sometimes are irrational, an illusion. They come from different sources: negative childhood experiences, internalizing parent's fears, bad experiences and so on. We have many fears, like death, losing control, commitment, failure, rejection, losing our job,and so on. Many of them are unreal . Fears are negative emotions because it can paralyze you and affect all areas of your life, and most important, fears stop people from making decisions. Many people don't express themselves as they are. They never travel on a plane or drive a car and stop people from experiencing life as it fullest. If you are afraid of animals you won't be able to be in nature or around pets. All this fears stop us from living and enjoy life. The most common way to disguise your fears is through addictions. Alcohol and drugs distort our consciousness and suppress our emotions. These emotions keep us in our comfort zone. As wikipedia has defined , our comfort zone refers to the set of environments and behaviors with which one is comfortable, without creating a sense of risk. Highly successful persons may routinely step outside their comfort zones, to accomplish what they wish. A comfort zone is a type of mental conditioning that causes a person to create and operate mental boundaries that are not real. Such boundaries create an unfounded sense of security. Like inertia, a person who has established a comfort zone in a particular axis of his or her life, will tend to stay within that zone without stepping outside of it. The first step for overcoming different types of fears is to identify them. What are you afraid of?. The second step for overcoming fears is to take responsibility and acknowledge your are feeling afraid. The third step for overcoming fears is to identify the negative source or situation. Does it come from a past experience?. Did any of your parents suffered the same? If you find difficult overcoming some types of fears seek for professional help. Otherwise , set a plan for overcoming your fear.You must face it for overcoming it. Let's say that you are afraid of public speaking and you have to give a talk in front of a lot of people. You have many options : take a course in public speaking, write down what you want to say and practice in your home or in front of friends and family. Engage in an alternative therapy such as Emotional Freedom Techniques, or Self-hypnosis Techniques. Be patient with yourself. May be your first talk in front of people will not be so good. Try again. The more familiar you become with the situation you are afraid of the fast you will overcome it. Fears are healthy because it protect us from a dangerous situation. It does not matter if the dangerous situation is real or imaginary , the important issue here is that for us is a dangerous situation. It puts us on alert and we can prepare to face the situation. Start overcoming your fears to experience the life you deserve to live. Learn to control yourself, and eliminate it. 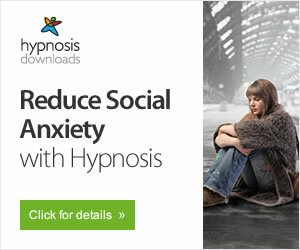 Recommended resources: Fears self-hypnosis download. From elevators, spiders and birds, to heights, dentists and open spaces, there is nothing we can't develop anxiety or phobias about. Happily, hypnosis provides an extremely effective cure for overcoming problems as it provides the opposite of anxiety - deep relaxation - while teaching the mind a different way of responding to the feared object or situation.